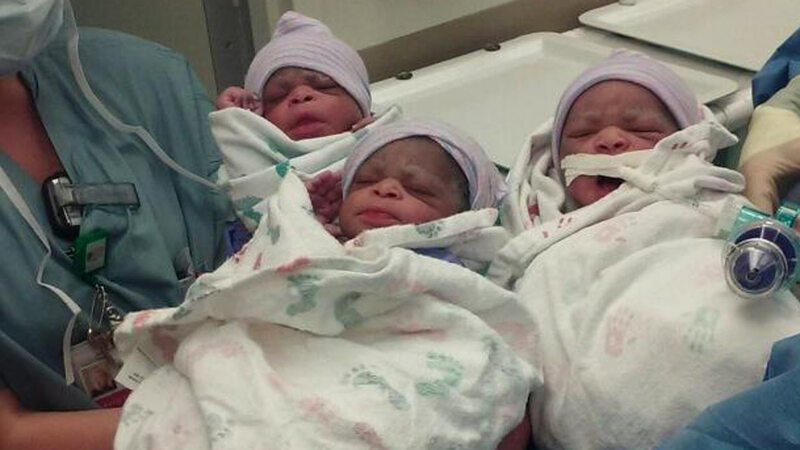 CHICAGO (WLS) -- A woman from the city's South Side gave birth to three non-identical triplets Wednesday afternoon. Chakya Miles, 33, and her boyfriend Andre Harris are now the parents of the two baby girls and a boy, relatives said. Aalayzia, Avah and Amari were born at University of Chicago Medical Center just before noon.